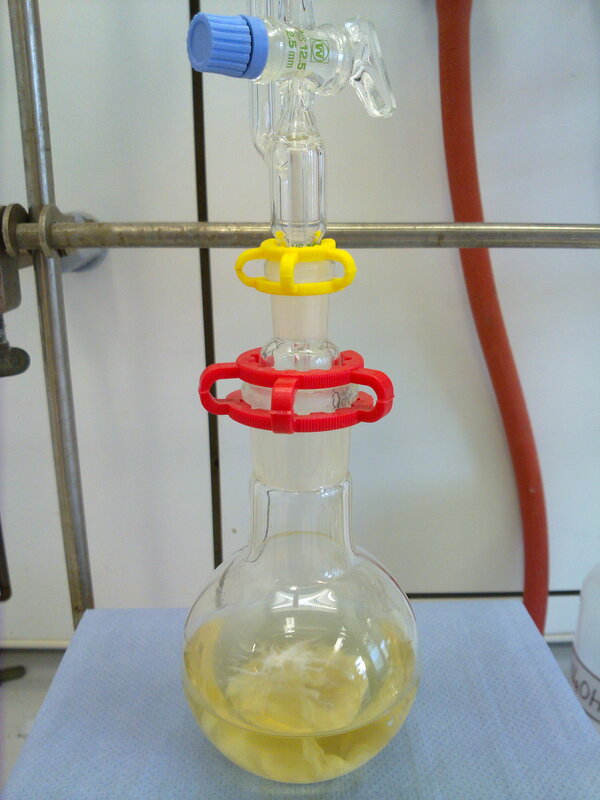 Organic compounds can form salts with inorganic acids or bases. Some organic salts are water soluble, which are adventitious for pharmacist in purification, biological tests, and pharmaceutical formulations. Yet presence of either a stronger inorganic acid or base in salt solution, replaces the weaker organic one, and organic molecules are liberated. 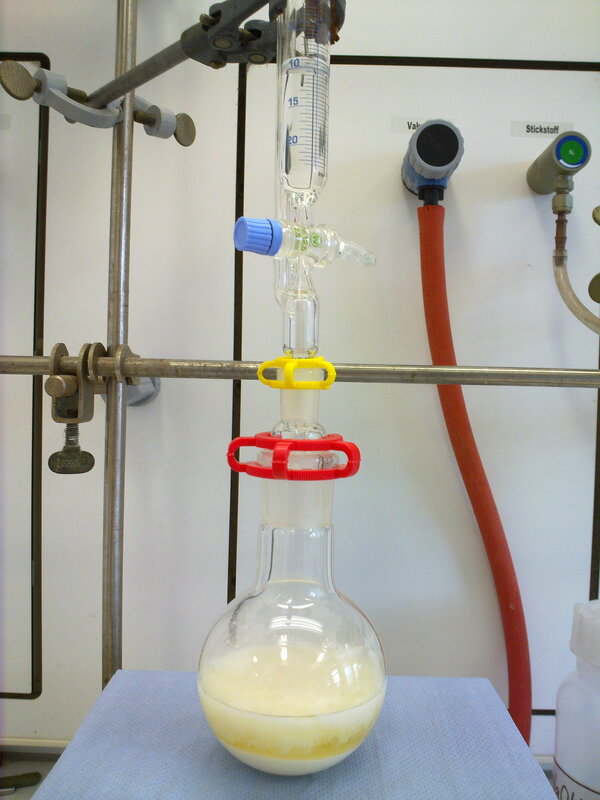 Here, a new synthesized acidic organic compound is precipitated from solution as a white cloud when just few drops of hydrochloric acid were added.